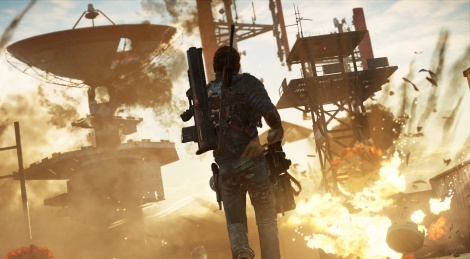 The PC version of Just Cause 3 is playable in its full version at PGW, so Davton took the opportunity to visit a teeny tiny part of the gorgeous open world of this third installment. Here is a first video with more coming as soon as possible. The PC we played the game on was an i5 equipped with a GTX 970 and so were all the others demoing the game. The game's graphics were set to ultra. Update: Added 2 more videos, without sound this time. hows the aliasing gamersyde crew? earlier videos had lots of shimmering. are framerates above 60 supported? I hope the console versions look close to this in 30fps obviously. I didn't notice much aliasing but we played mostly at night. I hope so too. I plan to pick this up for my PS4. 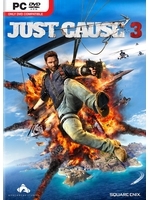 I played Just Cause 2 on both PS3 and PC and I still play it on both of them. Runs Beautiful. wish there was direct feed footage. I plan to have all the settings maxed out. I'll probably buy this when it hits around the £10 mark. JC2 just wasn't good enough to make me want a sequel.